LONDON (Sporting Alert) — Team news ahead of Arsenal fixture with Hull City in the Barclays Premier League at Emirates Stadium on Saturday. Gunners manager Arsène Wenger spoke to the media about the latest team news, including the major injury concerns he faces heading into the clash. The gaffer revealed that England winger Theo Walcott, Serge Gnabry and Mikel Arteta are all back in full training, but the likes of Aaron Ramsey, Yaya Sanogo, Laurent Koscielny and Mesut Ozil are all out. “We have been hit a bit hard with Koscielny coming back and his achilles being worse, and of course discovering the Ozil injury which we thought was nothing because he finished the Chelsea game,” Wenger said on Arsenal’s official website at www.arsenal.com. Wenger also added that although Walcott will lineup for the under-21s on Friday night, he is not being considered for the fixture against Hull on Saturday. When asked if Walcott would play, he said: “No, he will play on Friday night in the under-21s. 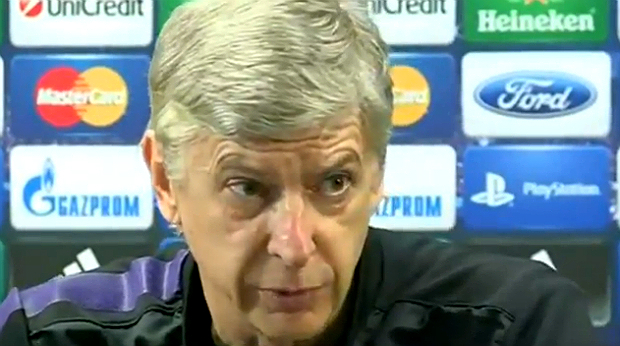 Wenger also spoke about his bigger problems, as the likes of Koscielny and Ozil will both be out for a while. “Koscielny (will not be available to face Hull). He has an achilles problem, which has got worse. He finds it difficult to play with it at the moment. He added about Ozil: “He told me [about the injury] once it was discovered on the scan. He did not tell me anything during the Chelsea game, I did not know. What happened was that at half-time, just before we went out, he had a little pain with his knee but it was not bad. “He wanted to go on and I told him, ‘If you don’t feel well, tell me and I will take you off straight away’. He never did that during the whole game, and after I left him on because we were in a position where we needed to score a goal and he can deliver the final ball. “Then after the game, he went to Germany. With Germany, they thought at the start it was nothing. We played on Sunday, on Monday he was off, and on Tuesday they gave him the day off. Arsenal fixture against Hull will see the London side hoping to rebound from the 2-0 defeat that suffered at the hands of leaders Chelsea before the international break. Just like James, Jeff works hard at providing the best possible news and reports for football fans. Some of his work includes getting starting lineups and scores in England and around Europe.